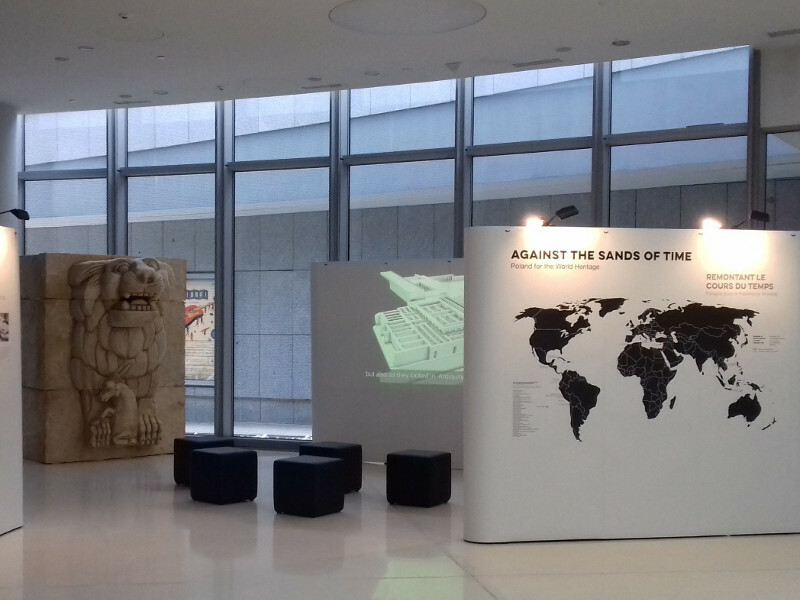 The exhibition had been presented this spring at the main UNESCO seat in Paris . It highlights, among others, the role of the Polish Centre of Mediterranean Archaeology in the study and conservation of endangered sites and monuments. The lion of Palmyra is prominent among them, and – due to its association with the PCMA – it has been adopted this year as the PCMA logo logo. © 2018 - Polish Centre of Mediterranean Archaeology, University of Warsaw. All rights reserved.